James Kimmel, the original Jimmy Kimmel as he says, is proud of his new 30’ Skater SS and has every right to be. The color scheme, right down to the specially wrapped steering wheel, gauges, gauge bezels, and interior stitching set this beauty off as a performance boat with all of the looks, performance, and custom tweaks that have given Skater their outstanding reputation. I think he was more impatient than he let on while at the show in Miami. Their winter play spot in Florida had to be waiting for this beauty to see what it could do in his hands. 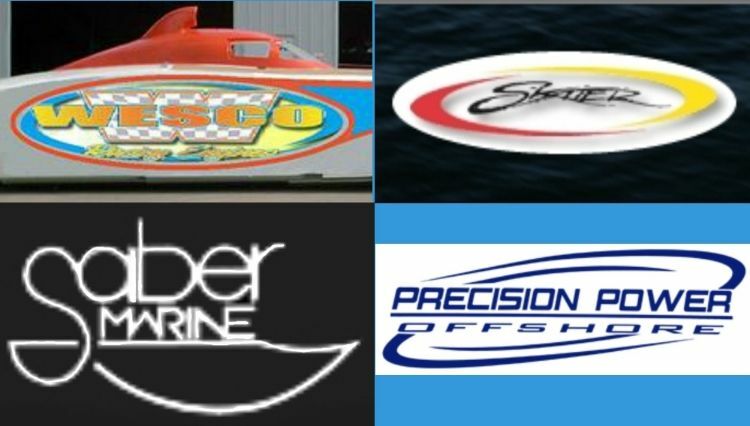 Dave Denham, driver for the Pirate Offshore Racing Super Vee Lite team, was named the 2014 recipient of the Randy Linebach Lighthouse Award on Sunday evening at the Golden Nugget Casino Hotel during the awards ceremony for the Smokin' the Sound offshore race. Our member Underdog88, Mark Underwood, has achieved amazing results without spending amazing sums. Not only has he turned heads with what he has accomplished with his boat, but the extremely interesting (and strictly budgeted) way he has done this reminds all of us what can be attained when someone with smarts, a strong desire, and intense drive puts their mind to it. This first story has been a pleasure to work on with Mark and Becky, and certainly deserves to be the leader of our Member Spotlights. Congratulations to Mark and Becky for being the first in this section of our Inside Magazine!! Sit back and enjoy…..
Serious: Tell us a little history how you became involved with boating. Mark: Like most boaters, as a child, we spent a lot of time on boats with my parents. My older sister moved to Florida at age 19 and bought a 22 foot sailboat and lived on it. Over the years she worked her way up to a 52 foot Chris Craft in the front row at Marina Jacks in Sarasota, still my favorite place on earth.